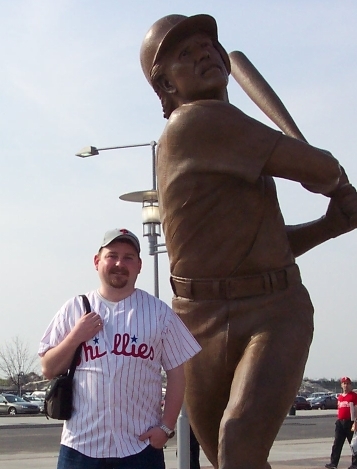 Has there ever been a new Phillie that has broken onto the scene like Ibanez? Okay, there has. 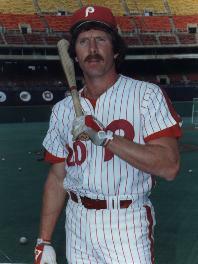 But Phillies fans remember the Danny Tartabull's and the Lance Parrish's more. Raul Ibanez is truly been a treat so far this year. Raul Ibanez Grand Slam against the Nationals to take the lead 13-11. 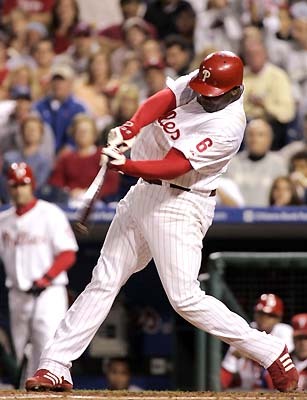 Earlier, Ryan Howard blasts a grand slam to tie the game at 6. Certainly, the pitching staff is going to be worn out from this kind of game. But what about the offense as they crossed the plate 26 times in the last 2 days. 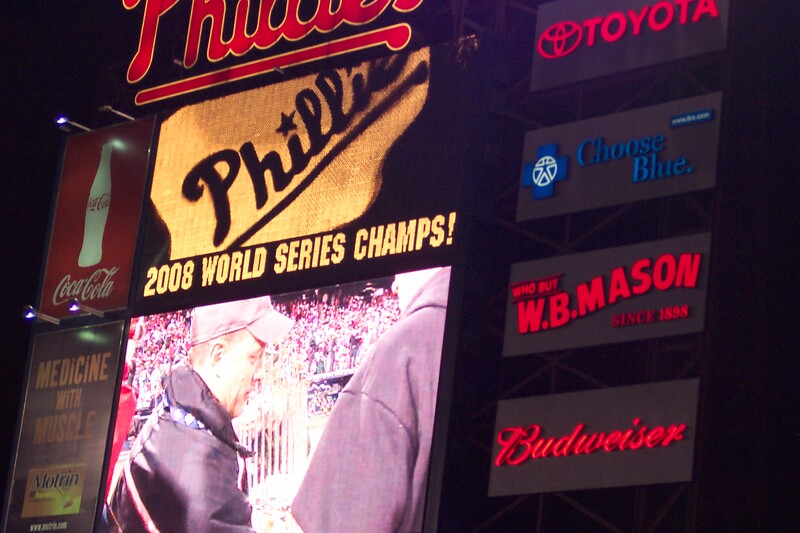 2008 World Series Game 5: Change? Coming to Philly? Tonight? To Citizens Bank Park? Phillies win the NL East!!! Listen to Harry The K! !